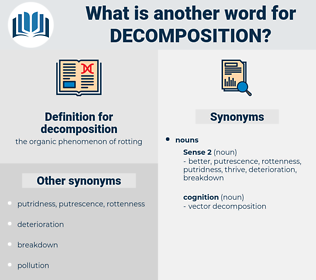 What is another word for decomposition? 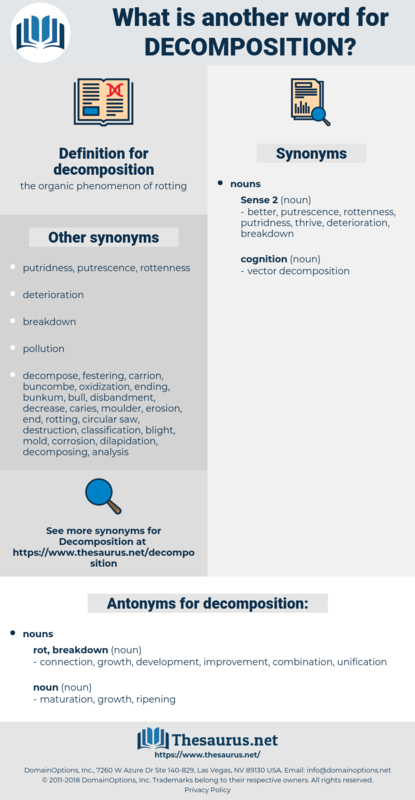 degradation, Disaggregation, Weathering, break-up, deterioration, consist, ventilation. connection, unification, improvement, combination, development. They are all destined for corruption, for physical decomposition - in the very act of consumption. Its absence in nature is explained by Mr. Fitzgerald by the fact that " the temperatures of formation and of decomposition lie very close together."